Our pickled beets and jalapeños are two products that stand out. Our jalapeños have that bold spicy jalapeños flavor backed with the sweetness of apple cider vinegar and agave, a perfect treat for any pepper head. Our pickled beets are a delight of the northwest. They have the earthy undertone of organic, non-GMO beets with the sweet tang of apple cider vinegar. Enjoy! 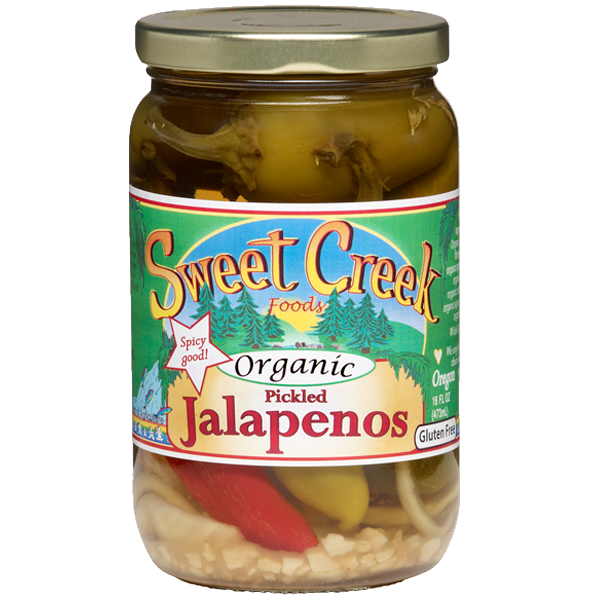 We at Sweet Creek are proud of our jalapeños, they are crisp and deliciously spicy. Slice them up for your omelettes in the morning, add them to your soup at lunch, and put them in you chili or burritos at dinner. At Sweet Creek it’s always jalapeño time! For that spice in your life, our pickled jalapeños are to die for, they have a little bit of agave sweetness to compliment the spice of the jalapeños, sure to please jalapeños fans. They are excellent on nachos and in chili. These beets don’t mess around. Use them on salads or just eat them straight out of the jar! Our apple cider brined beets are a must have for any garnish assortment.There is no sweetener added to these, because the beets have a wonderful natural sweetness of their own. 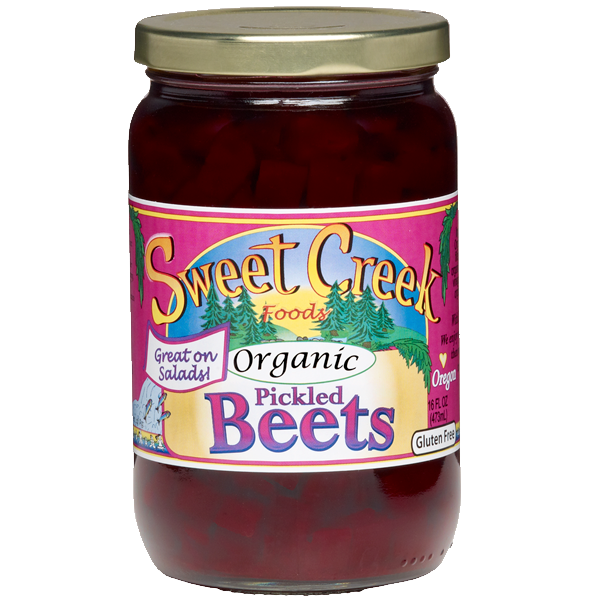 Made using non-GMO, organic northwest beets, our pickled beets are a salads best friend. They are a beautiful gift of nature with every bite.